The health and fitness industry is booming. If you wish to become a successful model this is a great sector to get involved in. More emphasis is being placed on living well than ever before, especially when you consider the issue of rising obesity. From health magazines, gym advertisements, fitness programs, and marketing nutritional products; there are lots of instances whereby sports models will be required. Even the standard lifestyle magazines feature extensive health and fitness sections. If you want to get into the fitness industry, there are a few things to keep in mind. Fitness modeling is not as strict as catwalk modeling and thank God for that. You don’t have to be 5’10” like Cindy Crawford! (cue the Cher Horowitz hair flip). You should portray strength and health. It is likely that you are going to be encouraging people to invest in a product or begin a particular fitness regime. Your image should inspire them to want to do this. You’ll need strength and endurance for fitness and sports modeling. It’s not all about standing around. Regularly working out and eating well can increase both. Zen macrobiotics or other nutritional supplements may be of interest to you. Nevertheless, nine times out of ten the shoots you participate in are going to require physical activity. Therefore, you need to be ready to do anything from running, to lifting weights, to climbing, to playing any type of sport. And remember, you will need to do this again, and again, and again. The photographer won’t rest until he or she has a good selection of photographs to choose from and is confident they have found ‘the one’. You should also join a credible agency. It’s not just about finding one with a good reputation; you need to find an agency that is going to be right for you as a fitness model. Make sure they have experience in sports modeling specifically and that a good chunk of their clientele is involved in this type of modeling. Once you’re confident, read customer reviews and assess the level of experience the agency has. Be certain they are constantly updating their website and actively looking for potential jobs as well. Taking five minutes to discover what others have had to say about the agency is worth its weight in gold. If they have a bad reputation this is something you will instantly be able to pick up on. 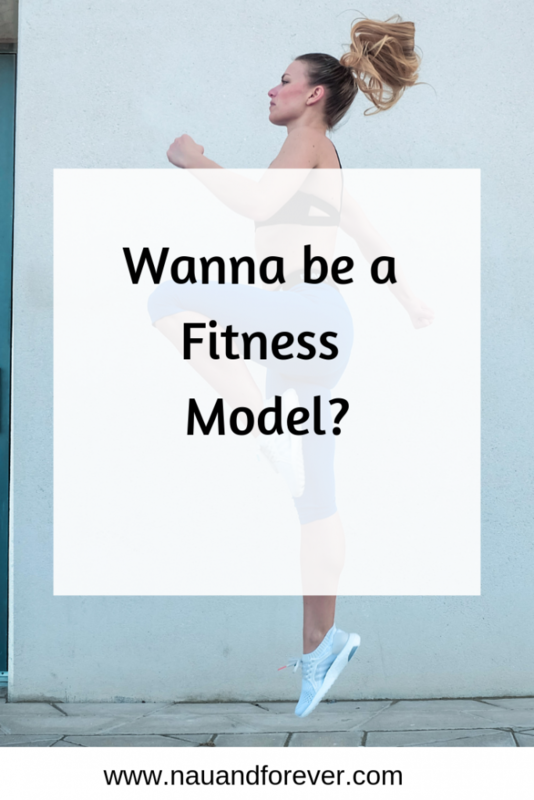 Is Fitness Modeling for You? Get excited knowing that this industry is flourishing. Competition is going to be fierce and thus you need to do everything you can to make yourself stand out from the crowd. A winning portfolio is essential. Diversity is the name of the game when it comes to this. Moreover, don’t miss out on any opportunity to network and make stellar contacts in the industry. Sports’ modeling is definitely a good area to get involved in today. The health and fitness industry is flourishing and there are no signs of it slowing down. If you’re ready to work on your health and fitness journey, I can help you find a program that works for your lifestyle and goals! Email me at laura@nauandforever.com and let’s chat about your goals!